Nothing goes with Bluegrass like….Vietnamese food? Seriously. Well, for this family at any rate. For the last few years we’ve been going to a music festival in western Maryland called Delfest every Memorial Day weekend. Camping out at a county fairground and soaking up the music for four fun filled days. Last year we started what we hope will be a tradition. Vietnamese food night at Delfest! 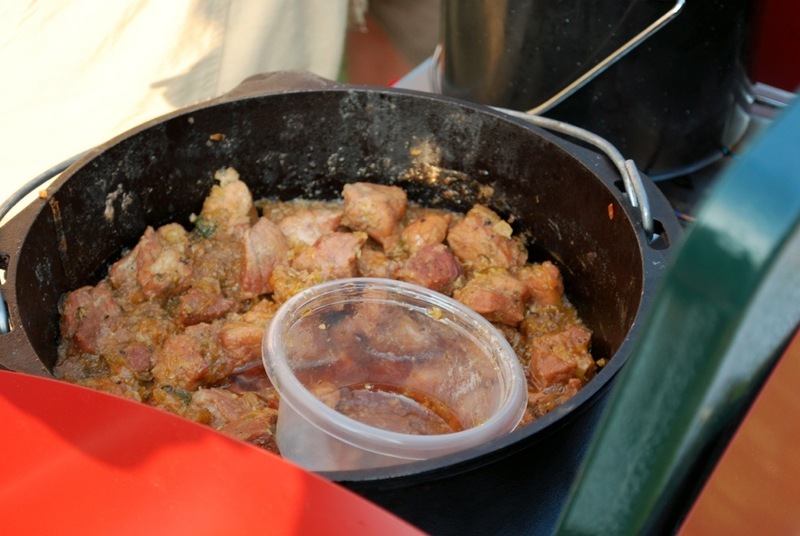 Clay Pot Pork had made it into the heavy rotation for dinner at home and one night shortly before last year’s Delfest we figured out it could be made pretty easily on a camp stove, particularly if all the prep work was done at home before driving down. Once the Principessa started cooking, we had a constant stream of people stopping by our campsite, angling for taste. Hell, next year we could probably vend the stuff!